Need something fun for your guests on your wedding day? Look no further our Wedding Advice cards are perfect for this. 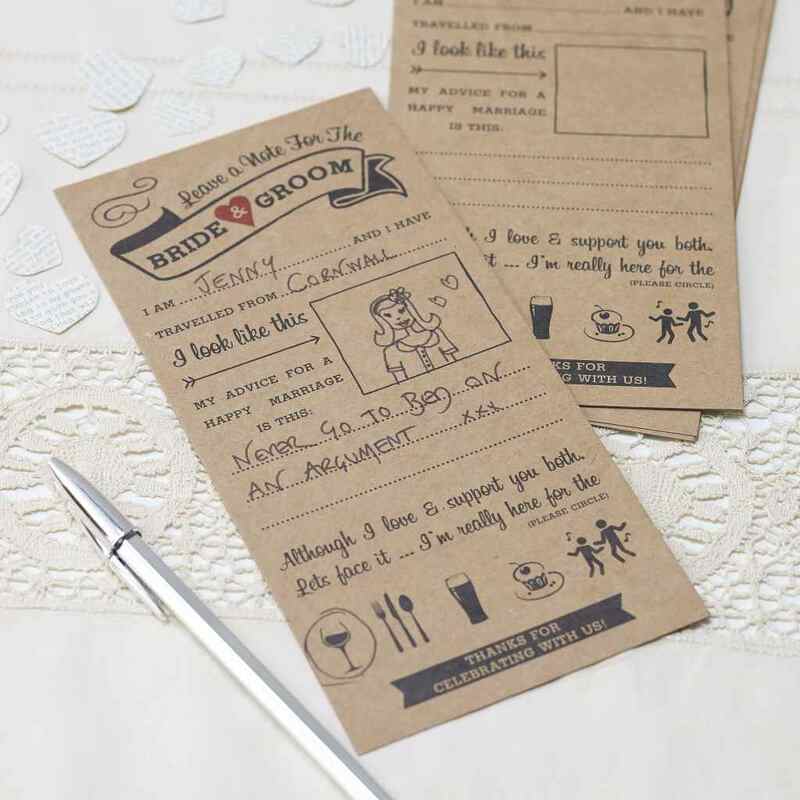 Each pack has questions and even space for your guests to draw a picture of themselves! Add one for every guest on there place setting and you can keep for years to come.